Last year Wu wore the finished product—a striking cluster of entangled coils—to Art Basel in Miami. “It was crazy,” she says. 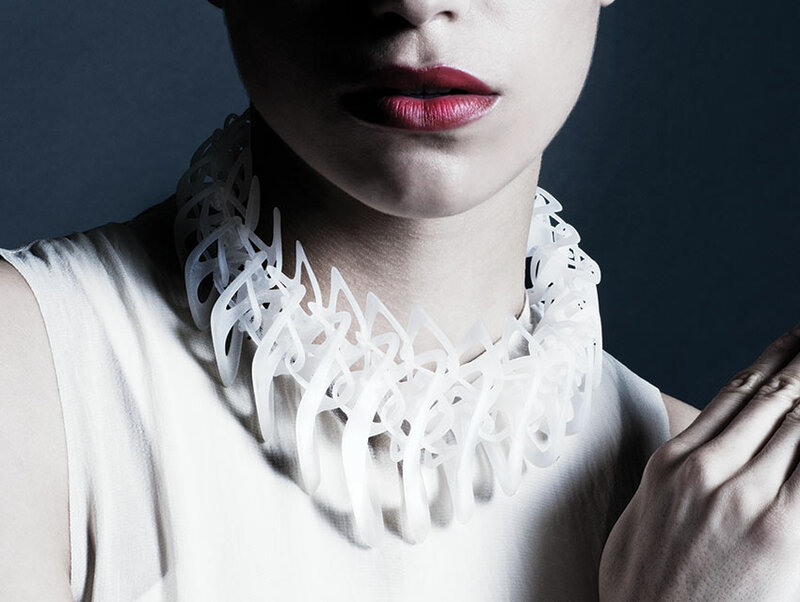 “Every five minutes someone was trying to buy it off my neck.” Encouraged by the experience, she launched LACE, a collection of 3-D-printed jewelry made of nylon, TPU (thermoplastic polyurethane), or cast silver from printed wax molds. The rings ($40-$1,000) have a Möbius strip quality, while the necklaces ($450-$900) resemble alien organisms with interlocking parts that move like vertebrae. Next articleOutlaw Go-Karts Busted at the Port of L.A.